C. Jane Kendrick: Did Someone Say Christmas? 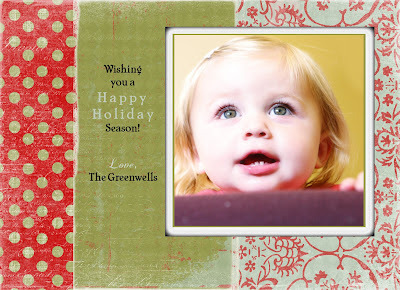 Talented, timely Haley is talking about ordering Christmas Cards on her photography blog. Today marks the one year anniversary of Darlybird. A celebration is in order, to be sure! Just enter happydarly in the coupon code field of the checkout screen and you'll receive 20% off your entire order! This is the perfect time to get your holiday shopping started; come December, you'll be sipping hot chocolate by the fire while the rest of the world is battling congestion at the mall. Sounds like a good plan to me! A sale like this comes along only once a year, so spread the love. Sale ends August 20th, so shop early for the best selection. Tell the truth, have you started to think about ol' Kris Kringle already?